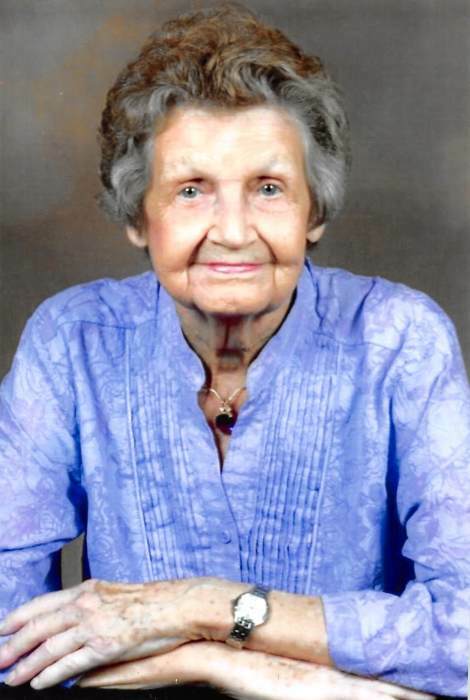 Evelyn Savage Hale, 88, of Senatobia passed away on January 26 at The Blake in Oxford. She was born on October 14, 1930 to Raymond and Eula Scott Savage. She grew up in Hernando, the oldest girl in a close-knit family of seven siblings. She was given the nickname, “Sister” by her siblings, a name that stayed with her to this day. Evelyn graduated from Hernando High School in 1948. She married Emmette F. Hale, Jr. in a double wedding ceremony on June 16, 1950 and moved to Senatobia, which would be her home for 68 years. She was a homemaker for many years while raising her four sons. After the death of her husband in 1989, she served the remainder of his term as Tate County Supervisor for District 4. She also worked with her sons in the family business, Hale Lumber Company. In her later years, her greatest joys were her grandchildren and great grandchildren, whom she would often babysit. There was always a bowl of chocolate ice cream and a hug waiting for them when they arrived. She also enjoyed spending time and traveling with her special friend, Carolyn Rials. They made many trips together, including traveling each year with their church group to The Billy Graham Cove in North Carolina. She was a long-time member of Senatobia First Baptist Church, where she previously taught children’s Sunday School for many years and was an active member of the Flower’s Circle WMU. She volunteered as a member of the church's Homebound Ministry, delivering meals on Wednesday nights to homebound church members. She was a member of the Grace Sunday School Class. She and other members of her class did fingernails for the residents at the Senatobia Convalescent Center every Wednesday afternoon. She was preceded in death by her parents, Raymond and Eula Scott Savage; husband, Emmette F. Hale, Jr.; brothers, Jack and Bill Savage and sisters, Helen Hurt and Betty Davis. She is survived by her four sons, Emmette F. "Buster" Hale, III of Oxford, Steve Hale (Cindy) of Senatobia, David Hale (Tiffany) of Memphis, Tim Hale of Senatobia; sister, Shirley Morgan of Hernando; brother, Heyward Savage (Faye) of Nesbit; sisters-in-law, Della Savage and Barbara Savage, both of Hernando; brother- in-law, Marcus Davis of Statonville, TN; grandchildren, Jennifer Hale Lowrie (J.B.), Jay Hale (Jennifer), Dave Hale, Emily Hale Lamar (Vance), all of Senatobia, Chris Hale (Misty) of Florence, AL, Courtney Hale Haas (Ashley) of Hernando. She is also survived by 12 great-grandchildren and a host of nieces and nephews. Visitation will be from 1:00 - 3:00 p.m. Monday, January 28, 2019 in the Welcome Center of the Senatobia First Baptist Church. The service will follow at 3:00 p.m. in the church sanctuary, with burial in Bethesda Cemetery. In lieu of flowers, the family request memorials be made to Senatobia First Baptist Church. Pate-Jones Funeral Home is in charge of the arrangements.